1. I will understand the effects of all recreational drugs I take prior to ingestion, to the best of my ability. I shall research all relevant neurochemical, psychological, physiological, and spiritual effects, the legal issues surrounding the drug and its use, along with other relevant information. 2. When taking a drug I am inexperienced with, I shall begin with a reasonably low dose suggested to be psychoactive by the aforementioned research before progressing to higher dosages. I will measure the drug carefully, with an accurate scale, when possible and applicable. 3. If it is possible that the drug may contain harmful adulterants or in fact be a different drug altogether, I shall have the drug chemically analyzed for purity and content. If this is not possible, I will use caution and/or follow the appropriate course of action. 4. I will learn the overdose limits for my own body weight and adjust them for any possible synergistic effects due to diet, prescription or other drugs. I will also adjust for dangerous side effects and my own health condition. I will also learn of any possible drug interactions and make sure I am not at risk. 5. While under the effects of a drug, I shall not take physical risks such as driving, climbing, swimming, or any other physical activity in which my actions may cause harm to myself or others. 6. When first using a drug I am inexperienced with, I shall take it in the company of an experienced user, also known as a sitter. The sitter will remain sober during this experience, and will also have fully researched the drug. If this is not possible I will make sure there is a responsible way/backup plan to deal with any hazards which may occur during my experience. 7. I shall not attempt to sway, force, trick, or otherwise coerce another person or animal to take any drug; rather, I shall discuss previous drug experiences and research frankly and honestly, allowing all people to make their own personal decisions about drug use. 8. I shall defend the rights of others to make educated, responsible decisions about drug use. I shall not support any person or movement that attempts to remove or abridge said rights. 9. I shall not allow my drug use to overshadow or disrupt the other important aspects of my life, including social interaction, employment or even other personal pursuits. 10. I will also take responsibility for the drug use of friends and relatives, if their drug use becomes dangerous to their health or personal relationships. 11. I will take drugs only in my free time, when I am not answerable to an employer or responsible for another person’s health and well-being. 12. As a drug consumer, I will embrace responsible drug production and distribution methods, such as growing or pharming your own, and shun suppliers who use violence when not necessary for their self-defense. I swear this with the hope of creating a society in which safe, responsible drug use is a personal decision, not a criminal offense. “Students for Sensible Drug Policy UK is part of an international network of young people and students that originally started out in the United States. Students for Sensible Drug Policy UK was founded by a small group of students at the University of Leeds in April 2008. Since then it has grown into a nationwide network with chapters all over the country and gaining widespread recognition as the voice of students and young people working towards better drug policies. Since Cognitive Liberty UK started SSDP have been very supportive of us, we would like to express our admiration and gratitude for all the good work SSDP does. 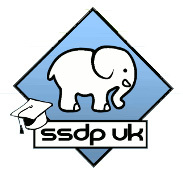 SSDP have chapters throughout UK universities: if your university doesn’t have one, SSDP and your student union will help you start one. The spreading of this grassroots movement is of paramount importance, it is also a great way to meet like-minded individuals who share your values. You can also join them on Facebook >here<. “[I] visited Portugal, as one of the Global Drug Commissioners, to congratulate them on the success of their drug policies over the last 10 years. Ten years ago the Portuguese Government responded to widespread public concern over drugs by rejecting a “war on drugs” approach and instead decriminalized drug possession and use. It further rebuffed convention by placing the responsibility for decreasing drug demand as well as managing dependency under the Ministry of Health rather than the Ministry of Justice. With this, the official response towards drug-dependent persons shifted from viewing them as criminals to treating them as patients. 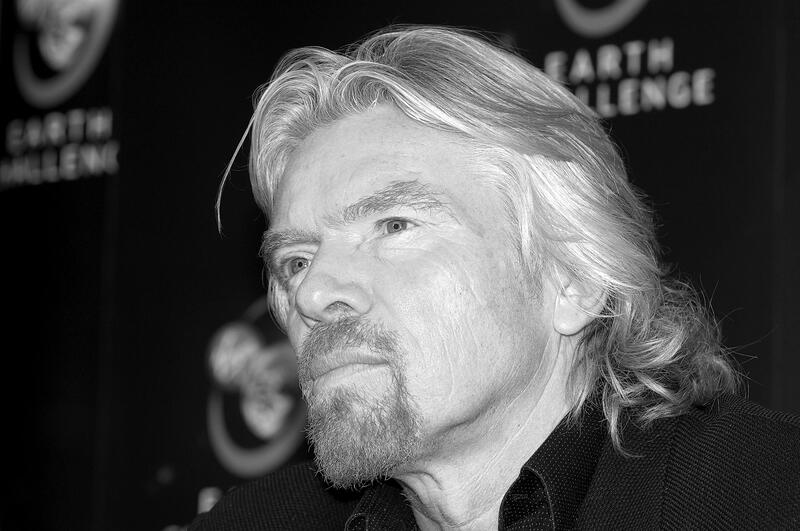 Cognitive Liberty UK would like to express our gratitude to Sir Branson for speaking up on the issue; we hope that British politicians will be brave enough to consider his proposal. It has been announced that in the new year, Parliament’s Home Affairs Select Committee will undertake an in-depth review of the Government’s national and international policies for tackling drugs. They are currently calling for written evidence from any individuals and organisations who wish to submit it. Submissions must specifically address the issues listed at the bottom of this page. With the notable exception of the Liberal Democrat MP Dr Julian Huppert, (the only career scientist in Parliament and Vice-Chair of the All-Party Parliamentary Group on Drug Policy Reform), the members of the Home Affairs Committee do not have scientific backgrounds. In order that the scientific evidence is given the hearing it is due, ISCD members will be submitting scientific evidence pertinent to these policy questions. You can help by emailing us your views (info AT drugscience.org.uk) which we will summarise and compile into the ISCD submission, or if you prefer you can send your written evidence directly to the Home Affairs Select Committee. If you intend to send us your views, please do so as soon as possible, and by 3 January, to allow us time to compile them. If you plan to submit directly to the Home Affairs Committee, you must do so by January the 10th. Please read all of the guidance on what the Home Affairs Committee is looking for (click here). All submissions should specifically address the issues being considered. If you send us evidence, please ensure that you do not send anything that you would not wish to be made public, as the Home Affairs Committee may publish it. Similarly to other SSRIs, sexual side effects are common with fluoxetine; they include anorgasmia and reduced libido. Akathisia, that is inner tension, restlessness, and the inability to stay still, often accompanied by “constant pacing, purposeless movements of the feet and legs, and marked anxiety”, is a common side effect of fluoxetine. Fluoxetine taken during pregnancy also increases rate of poor neonatal adaptation. It has also been known to cause rashes and skin conditions. Indeed, according to Breggin’s analysis: when the manufacturer did trials on 5000 individuals, only 286 patients finished the four- to six-week trials used to determine Prozac’s efficacy. This was because many of them could not bare the adverse effects. The anti-LSD hysteria of popular press repeatedly played on the notion that it can lead people to suicide. Prozac is known to do the same, perhaps more so, and is dished out by the NHS like there’s no tomorrow. The adverse reactions are both more likely and more severe when compared with LSD. Fluoxetine is one of the better anti-depressants on the market: there are many that have worse side-effects, that are legal and prescribed by doctors. 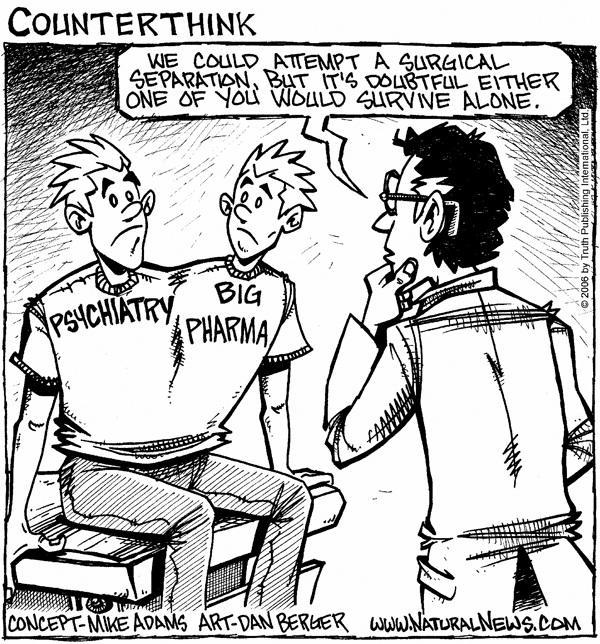 How do these other psychiatric “medicines” compare to LSD? Isn’t there an obvious double standard? Prozac can cause dependancy. LSD (and other psychedelics) do not cause dependancy. LSD or ‘acid’ has very random, and sometimes very frightening, effects. Trips feed off a person’s imagination. If panic sets in, the experience can be scary and confusing. Bad trips can be terrifying. Flashbacks sometimes happen. This is when part of the trip is subsequently re-lived after the original experience. (This usually occurs within weeks or months after taking the LSD but can be longer). There’s no evidence to suggest LSD does any long-term damage to the body or long-term psychological damage. LSD could have serious, longer term implications for somebody who had a history of mental problems and may also be responsible for triggering a mental health problem that had previously gone undetected. I repeat: “There’s no evidence to suggest LSD does any long-term damage to the body or long-term psychological damage.” Let’s not forget that various independent British scientific bodies have consistently ranked LSD as amongst the least harmful of the controlled substances. FRANK’s list of adverse side-effects of LSD seems far less intimidating (and likely) than those associated with prozac: given a choice of the two, knowing what you’ve just read, which would you prefer? If the government justifies drug-criminalisation based on a drug’s ability to cause harm, the situation seems quite hard to understand: It seems that Prozac may be consistently more harmful than LSD. LSD’s outlaw status may be attributed to its ‘potential for abuse’, other drugs such as MDMA and Ketamine have also had their illegality justified with this term. The reason that they have ‘potential for abuse’ though, is surely that they cause enjoyable experiences that people wish to repeat. But it seems obvious that one of the measures of a good anti-depressant would be that it would cause good-feeling: the very condition of depression is defined by the presence of persistent negative emotional states, what better sign of effective treatment than the presence of positive ones? Over-simplistic perhaps? Afterall, what is of real importance is how long the changes in emotional state last. But psychedelics, especially LSD, are known to cause lasting positive changes in both personality and emotional state: psychedelics often cause peak-experiences or transformative mystical experiences. The benefits of LSD use are maximised through a process of ‘LSD psychotherapy’ where a trained psychotherapist serves as a guide to the patient: this practice is currently outlawed, though there are some psychotherapists who still operate clandestine psychedelic-therapy services. For more on LSD assisted psychotherapy see Grov’s ‘History of LSD Therapy’ and ‘The Use of LSD in Psychotherapy and Alcoholism‘ by Abramson. Then there is the cold scientific data. Due to its criminal status, research into LSD, its potential harms/risk and potential benefits, is hard to come by. One of the negative side-effects of drug prohibition is that it slows the scientific understanding of psychoactive chemicals that may have clinical applications. Then we have the compelling self reports, rational intelligent adults who report that LSD is good for them: ‘There is no hiding with LSD’ by Sue Blackmore is a recent example of such a confession. In truth, most the people who think it is harmful seem to be the people who haven’t done it. Of course, more research needs to be done. Sadly, this task is made more difficult by the current legislation. Organisations such as The Berkley Foundation and MAPS (see Links menu to your right) currently lead the battle against legislation in order to allow objective, unbiased, scientific research in LSD. It is interesting to consider how legislators would react if studies were allowed to directly compare the efficacy of LSD and Prozac. Ironically, one of the earliest discovered clinical applications for LSD is the treatment of severe alcoholism. A class-A controlled substance may be one of the most effective treatments of the greatest substance abuse problem our country faces: the addiction to the legal drug alcohol. There is an obvious double-standard at play here: British MPs need to explain why LSD is banned and Fluoxetine is not. LSD carries a lower risk and has far fewer side-effects when compared to fluoxetine. It is shown to be a highly effective antidepressant. In many years people will look back and think what a great shame it was that this chemical’s vast potential was suppressed. 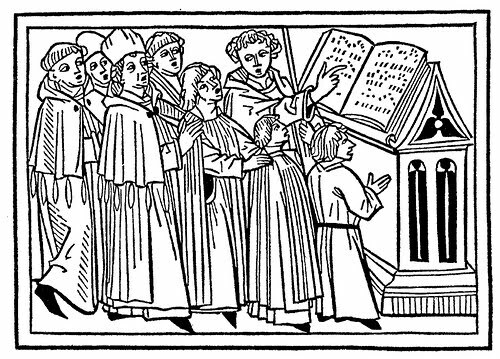 It will be one of history’s many great mysteries: like witch-hunts, inquisitions, and hysterias. The Berkshire Cannabis Community is Berkshires newest and only cannabis community group. Starting from the ground up we hope to facilitate some positive change and be a means of communication for a community that – because of the unjust prohibition of cannabis, has been driven underground . Being back in California has made me realise that they are so much further ahead then we are ourselves in the UK and it got me thinking why is this? I think that its partly due to the way the political system in the US works, but that the main reason is. And importantly its something we can start to implement in the UK – a place where we have some huge room to grown on -is the motivation of activists. Activists in California have mobilised and are much more willing to stand up and speak out against prohibition. It is because of this i have set up a new community organisation for those in my local area. I really feel it’s about time we started to mobilise out own forces making some positive change on cannabis laws in the Berkshire area. Cannabis is medicine and cannabis is a safer recreational alternative to both of the “Legal drugs” ; Tobacco and alcohol. It is a unjust law that puts a person in prison for a personal choice. No victim no crime. We are in the process of starting bi-weekly meetings in the Berkshire area. Anyone interested should look us up on face book or email me at Clark@clear-uk.org. Clear cant do this alone Berkshire residents we need your help. Please get in contact with Berkshire cannabis community. Together we can make some change.